Add to favorites the words for which you want to memorize the articles the most. Play a game to select/guess the articles of random words. 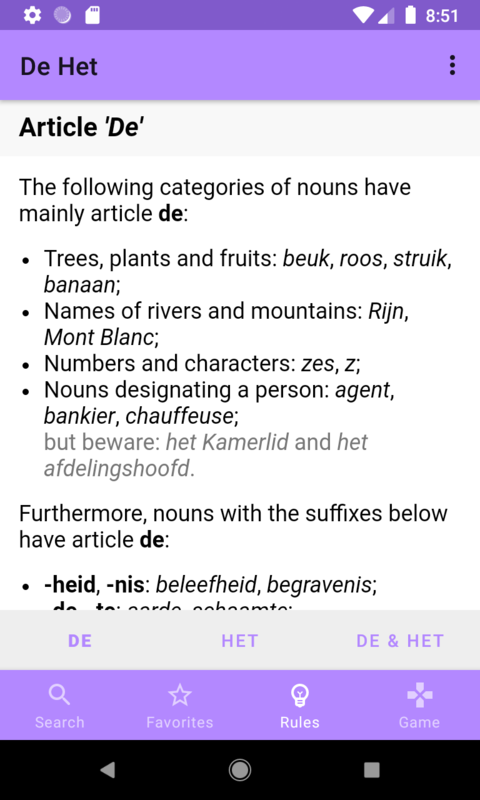 The app contains also the most complete overview of rules and guidelines for determining the articles of Dutch nouns. 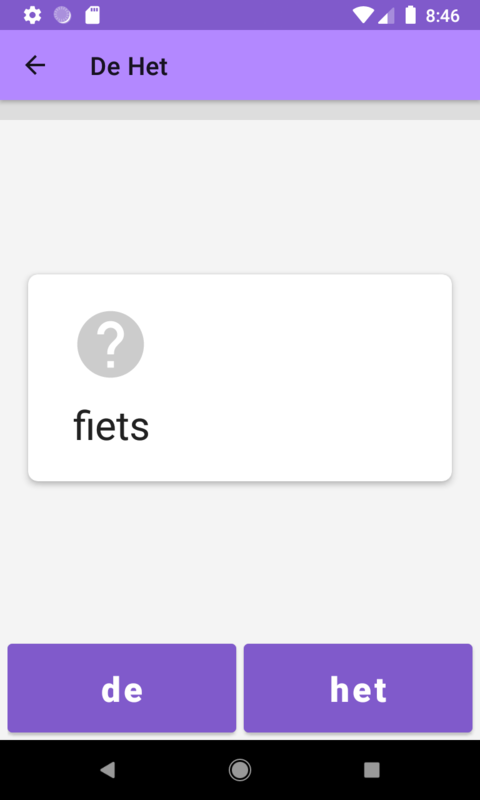 Search tip Because 'de' and 'het' are very frequent words in Dutch, finding the De Het app on the Play Store is sometimes difficult. 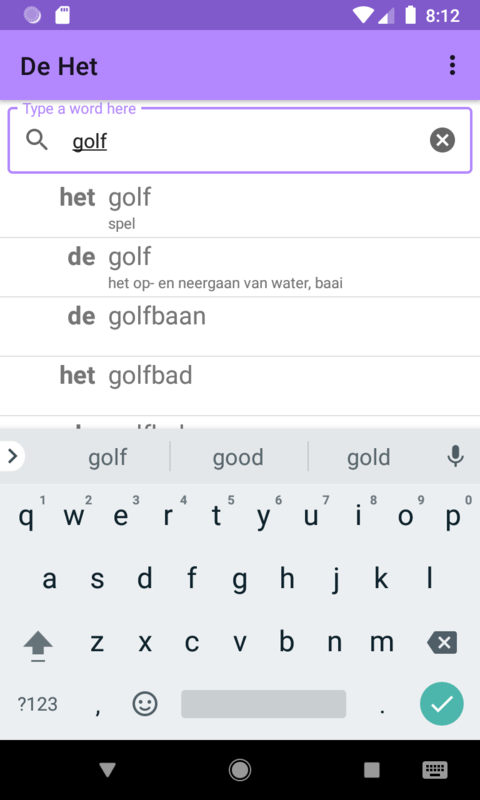 Use the search terms "de het" (with quotes) or de het passion4teq or simply passion4teq.